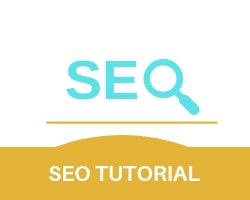 SEO types and techniques are methods where the user can make decisions on optimizing his website to its highest potential. On page SEO deals with factors that enhance the quality and efficiency of the website by improving factors such as Title tags, Heading, URL Structure, Page content. As the quality and efficiency of the website increase, it performs better on search engines. Off page SEO deals with factors and aspects that enhance the awareness and reputation of your website in the web. Factors such as link building and social media interactions are some of the key aspects of OFF page SEO. White Hat SEO is SEO practices and procedures that follow Google guidelines and are ethical and straightforward in nature. These techniques are straightforward in terms of SEO and avoid any methods that are unethical. Black Hat SEO is SEO practices and procedures that disregard and break Google guidelines and are unethical and shady in nature. Grey Hat SEO is SEO practices procedures and methods that walk a thin line between Black and White hat techniques and tend to play on either side.